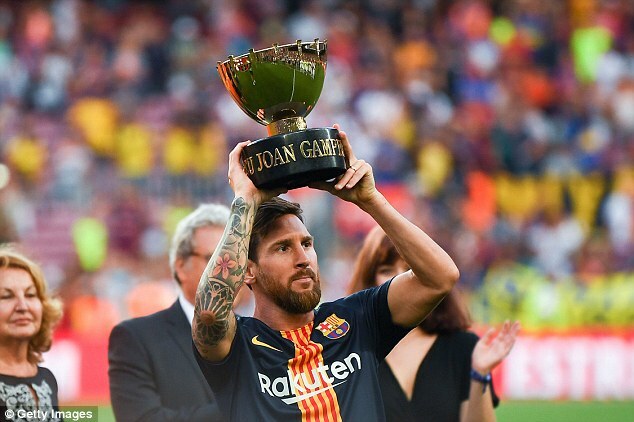 Lionel Messi has vowed to bring the Champions League back to Barcelona in his first season as club captain. 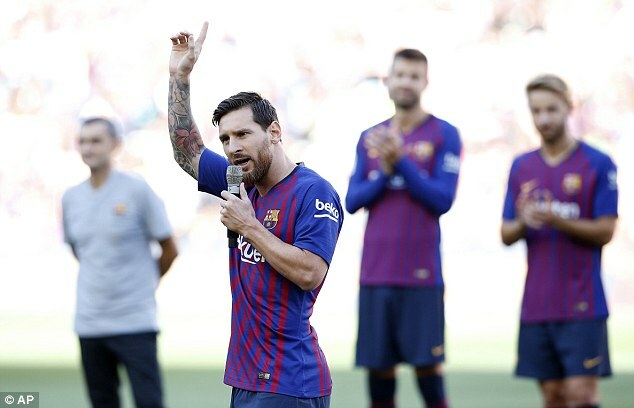 The Argentine addressed the Camp Nou crowd ahead of their match against Boca Juniors to contest the Joan Gamper Trophy. New signing Malcom grabbed his first goal at Camp Nou, before Messi and Rafinha strikes completed a 3-0 win over the South American side. Messi said: ‘It’s a source of great pride to be captain. I know what it means to wear the armband. Messi also appeared to be still hungry for success, despite a record-breaking career at the club. He said: ‘Last season was really good as we did the double but we all felt bad about how it went in the Champions League. 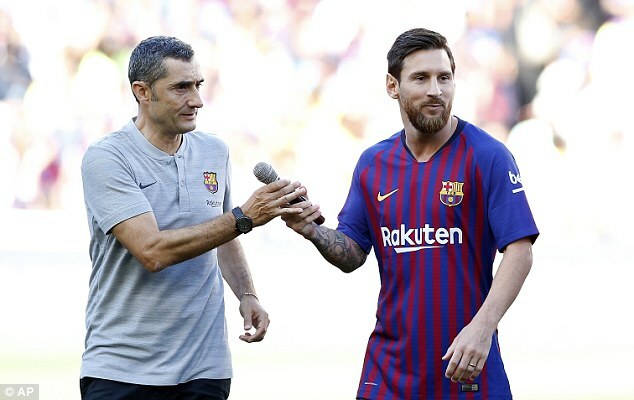 Messi then led the crowd in a rousing chant of ‘Visca el Barça i Visca Catalunya!’ before his charges took to the pitch.